How Long Will It Take to Settle My Lawsuit? After a bad accident, you are probably anxious to receive compensation to pay for your medical expenses and cover any lost wages. Unfortunately, the other driver’s insurance company is usually not anxious to pay out a settlement—no matter how injured you are. How long will you have to wait? Although there is no “one size fits all” answer, you and your Volusia County personal injury lawyer can estimate the amount of time based on the following factors. Is there a Dispute as to Who is at Fault? Some accidents are obviously the other driver’s fault. If he fell asleep and swerved into your lane, then it will be hard to claim that you are somehow partially to blame. Also, the driver might have been intoxicated or under the influence of drugs—other clear signs that the driver is to blame. However, liability in other cases is not so clear cut. For example, a traffic camera might have caught you waiting in the intersection to make a turn when another car T-boned you. In this case, both of you might be to blame for the accident. If so, the other driver’s insurer will want to offer you less money because your own negligence possibly contributed to the collision. If there is a dispute about liability, then you can expect to wait longer before receiving a settlement. 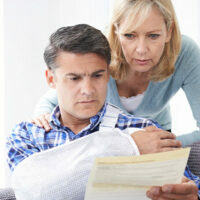 As part of the settlement, you can receive compensation for past medical care. However, if you were severely injured, then you might still be receiving medical treatment months or more after the accident. Generally, the right time to settle is after you have reached maximum medical improvement. At that point, you will be able to properly calculate your medical expenses. If you need continuing medical care, then it will be easier to estimate the costs of that care as well. Can You Hold Out for More Money? The quicker you want to settle, the less money you will likely receive. Sometimes, insurance carriers play hardball with injured victims. They make an initial settlement offer that is very low—sometimes only 10% of what your injuries are really worth. If you badly need money, you might be tempted to take the first offer put on the table. However, waiting has its advantages. You can continue to negotiate with the defendant or their insurance company and hopefully increase the amount of the settlement. If necessary, you might need to file a lawsuit, which shows that you are serious about getting the compensation you deserve. Settlement negotiations take time, but an experienced personal injury lawyer can maximize your recovery. At Bundza & Rodriguez, our Volusia County personal injury lawyers have obtained numerous favorable settlements and jury verdicts on behalf of our clients, including a $500,000 award for a leg injury sustained in a motorcycle accident. To schedule your free consultation, please contact us today. Call 386-252-5170 or send an online message. You have a limited amount of time to protect your rights after an accident, so please do not delay.